For some reason... I find creating very detailed, intricate scenes like this... very therapeutic. I usually work on these in the evening while listening to a podcast or sitting with my family while they watch a film. 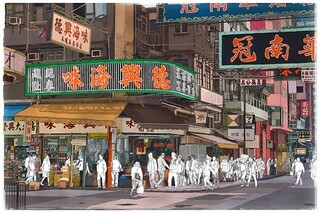 I use reference photos for city scapes.... usually photos I take myself. 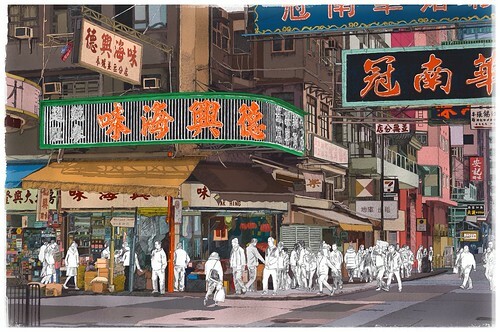 But I have never been to Hong Kong... so used a reference photo I found online.